Ghanaians will from November 1, 2018, start paying more for the services rendered by telcos operating in the country. 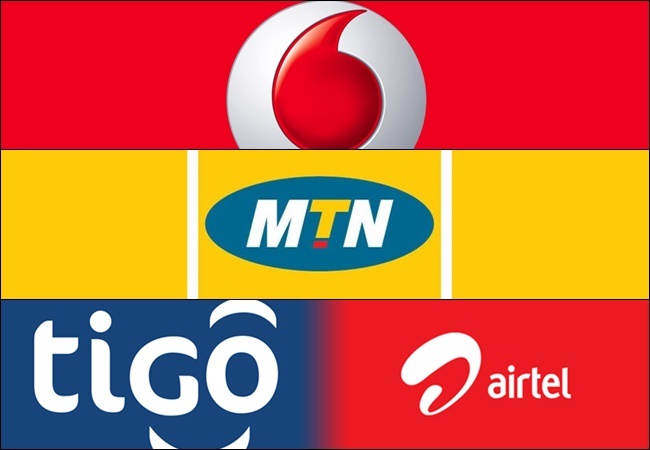 The telcos, Airtel-Tigo, MTN and Vodafone, say they are adjusting their tariffs upwards. The Ghana Chamber of Telecommunications which made the announcement in a statement said the increment is in accordance with the implementation of the new tax laws. “The government as part of the 2018 mid-year review of the budget amended the Acts referenced above. The objective was to “give effect to the conversion of NHIL and GETFL into levies that are not subject to the input-output mechanism, and de-linking them from VAT by removing the option of input tax deductibility,” thereby giving both levies a unique and different legal identity and distinguished from VAT. “Our members, who are responsible corporate entities, would comply fully with Ghana’s laws and ensure the distinction between VAT and the new levies emanating from their separate origins and basis in law. As intended, the incidence of the two new levies will thus be on consumers and will result in the increase of the cost of telecommunication service,” the statement said. The Ghana Chamber of Telecommunications on behalf of its members – AirtelTigo, MTN and Vodafone – wishes to notify its esteemed customers and the general public of tariff modifications following the implementation of the new tax laws. The objective was to “give effect to the conversion of NHIL and GETFLinto levies that are not subject to the input-output mechanism, and delinking them from VAT by removing the option of input tax deductibility,” thereby giving both levies a unique and different legal identity and distinguished from VAT.